If you are thinking of selling your Lexington home, don’t underestimate the role a real estate professional can play in the process. Thinking of Buying a Lexington Home? Start Saving Now! They say your home is your castle. If you've been renting your castle and dreaming of owning a home, you aren't alone. Home ownership rates have tumbled to a 20-year low – 63.9 percent in the wake of the Great Recession – as financial issues including unemployment, underemployment, student loan debt and tight credit conditions have weighed on potential homebuyers. There are signs that may be changing, however. People 34 and younger are the largest group of homebuyers, according to a recent National Association of Realtors study that looked at 6,572 responses from a survey of homebuyers in 2014. Millennials represented 32 percent of all recent buyers, while Generation X, including those ages 35 to 49, accounted for 27 percent. The median age of millennial homebuyers was 29, their median income was $76,900 and they typically bought a 1,720-square foot home costing $189,900, according to the NAR. "The No. 1 reason they want to buy is just to own a home of their own," says Jessica Lautz, director of survey research and communications at the National Association of Realtors. If you'd like to trade in your rental for a place to call your own, here are the steps you need to take. The typical down payment for a home is generally 20 percent, but there are a variety of programs that can open the door to homeownership with as little as 3 percent or even no money down. First-time homebuyers with low to moderate income levels may be able to qualify for a MyCommunity mortgage product through Fannie Mae with a 3 percent down payment. "Community mortgage products are better than [Federal Housing Administration] loans because the mortgage insurance is much less expensive and the down payment requirement is lower," explains Gina Pogol, consumer finance editor at Charlotte, North Carolina-based LendingTree. The FHA backs several kinds of mortgage programs. "The 203(b) is the most commonly used. It’s used to purchase or refinance homes with 3.5 percent down, as long as they have a credit score of 580 or higher and qualify for financing," Pogol says. However, she adds, "The average score of borrowers who actually get approved is closer to 700. Another FHA program is the 203(k), which can be used to buy or refinance property that needs to be built or rehabbed." Start saving by setting up a special savings account and automatically transferring a set amount into it each month. Deposit any bonuses or gifts into this account as well. How long it will take to reach your down payment goal depends on the amount you need and how much you are able to sock away each month. "For someone buying a $200,000 property with 3 percent down, saving $500 a month, it will take a year. And there are still closing costs to deal with," Pogol says. Consider alternative down payment sources. There are other options in addition to your personal savings, which include gifts from relatives or friends or a withdrawal from your individual retirement account for a first home purchase. If you are lucky enough to have a generous relative or friend willing to gift funds for your down payment, you are required to furnish an official letter documenting that for your lender. Zev Fried, a senior financial planner at Los Angeles-based JSF Financial LLC, warns against tapping your retirement funds for a down payment, however. "From a planning perspective, pulling from a retirement account for a down payment is often the worst option. A retirement account is for retirement, and should only be tapped for dire emergencies, as there are usually penalties and taxes when one withdraws money from these accounts," Fried says. Minimize payment shock. Consider how much you can actually afford, starting by looking at what you are paying in rent. If you are looking to buy more house than your current rent payment, Pogol recommends potential homebuyers "test drive" the higher monthly payment. "If their current rent is $1,000 a month and they want to buy a home with monthly principal, interest, taxes and insurance – called a 'PITI' payment – for $1,400 a month, I’d recommend that they put $400 a month into savings and see how hard or easy that is," Pogol says. Understand inventory conditions. Once you start shopping for a home, understand that current tight levels of inventory, or the number of houses on the market, could require patience and compromise. "We are now seeing inventory is the top reason slowing down and stopping potential buyers. Among recent homebuyers, from the 2014 Profile of Homebuyers and Sellers, the hardest task in the homebuying process is just finding the right home," Lautz says. "Most first-time buyers have to compromise on some aspect of their wish list. Seventy-five percent of recent first-time buyers had to compromise on at least one wish-list item, most commonly the size and price of the home." Although the path to homeownership can take some time, there are financial benefits, including the mortgage-interest deduction on your income taxes. However, the intangible benefits often outweigh economic factors. 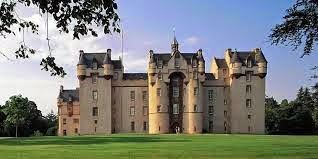 Soon you may be spending weekends fixing up your castle and turning it into your dream home. Patriot's Day, Monday April 20! The Battle of Lexington is commemorated every April on the third Monday of the month. The highlight is a historical reenactment of the battle that pays tribute to those patriots who first fell on the Lexington Green on the morning of April 19, 1775. Patriots' Day will be celebrated on Monday, April 20, 2015. Volunteer opportunity - Sign up to be Parade Ambassador in the Patriots' Day parade! Parade Ambassadors carry the banners that are in front of every parade unit. Community service hours are available. The schedule of events for Patriots' Day weekend includes a full range of activities including several battle reenactments, parades, the Liberty Ride, historic house tours, pancake breakfasts, and a road race. Other events occur in April along Battle Road. The reenactment of the Battle of Lexington, performed by members of the Lexington Minute Men Company and His Majesty's Tenth Regiment of Foot, is staged annually at 5:30 A.M. on Monday morning. This event evokes the revolutionary spirit that signaled the start of the American Revolution. When ready to buy a Lexington, MA home, getting preapproved is an important step in today’s home-buying process. Most home sellers won’t even consider you as a buyer if you aren’t preapproved. So as your Lexington real estate agent, I recommend finding a lender to work with and getting preapproved before beginning to search for a Lexington home! Do respond to your loan officers’ requests for documentations as soon as you can. Do make decisions quickly during the home-buying process. The market is very active right now! Do ask questions and voice concerns you have. Do make all your rent or mortgage payments on time, and pay all your bills on time! Do continue to work as you normally would and don’t take any significant time off. Do continue to use your credit as normal and stay current on existing accounts. Do enjoy the process of buying a home, and find a Lexington real estate agent to help you remain objective with your home-buying decisions. Don’t make any major purchases while waiting to close on a home. This includes a car, boat, jewelry, vacations, furniture and accessories. Don’t apply for new credit, even if you are preapproved for it. Don’t pay off charges or collections unless your loan officer told you to do so. Ask them questions if you have any. Don’t make changes to your credit profile after meeting with a loan officer and getting preapproved. Don’t change bank accounts or move any significant amounts of money around without talking to your loan officer about it first. Don’t make unusual deposits to your bank account. 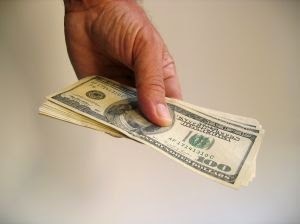 If you happen to come into some unexpected money, plan to explain where it came from. 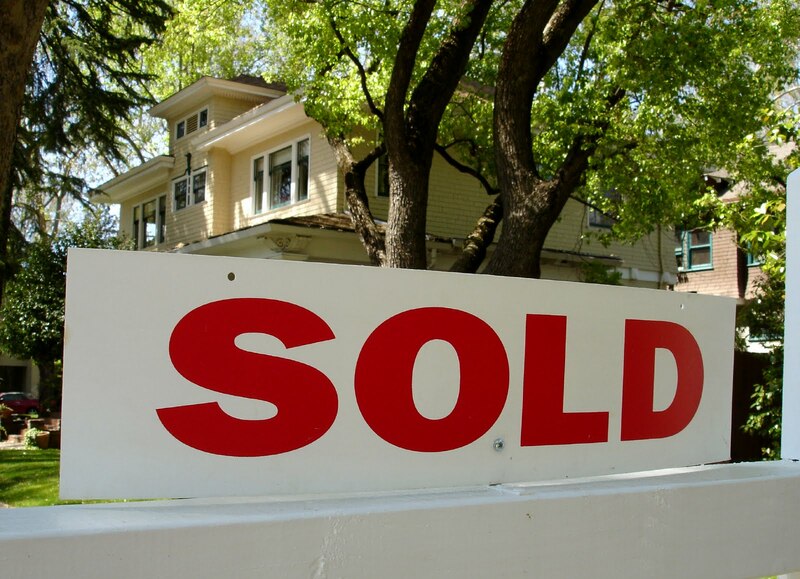 Follow these simple rules and your closing should go as quickly and smoothly as possible! As for the rest of the home-buying process in the Lexington real estate market, I am here to help! As your Lexington real estate agent, I can help you search for a home, visit homes, negotiate with home sellers and close on the Lexington home of your dreams. Mortgage rates are still low right now, and rents are rising at a fast pace. Don’t wait to buy a Lexington home! Contact me as soon as you’re ready to get started! 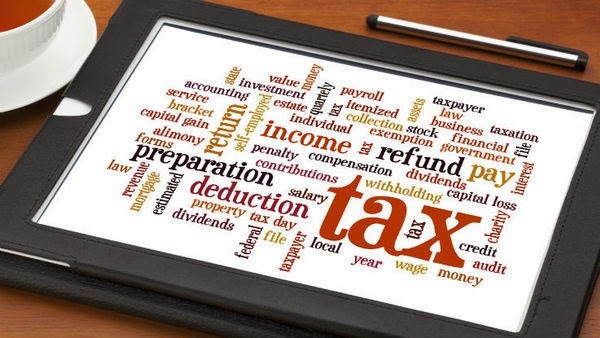 The 2014 Tax filing deadline is fast approaching, this article will explain the significant income tax changes you may not be aware of. This discussion will include changes to Social Security and Medicare, federal income tax standard deductions and exemptions, mileage deduction rates, earned income credits, Hope and Lifetime Learning tax credits, in addition to changes to retirement accounts such as the 401(k), 403(b), IRAs, and Roth plans. Note: Changes that apply to the 2015 tax year can be found in this article: Income Tax Changes 2015 - 2016. The filing deadline for the year 2014 is Wednesday April 15, 2015. Information appearing in this article applies to changes effective in 2014, which then become part of a taxpayer's return in 2015. The American Taxpayer Relief Act of 2012, or ATRA, added a seventh federal income tax bracket (39.6%) in 2013, while the remaining six rates were unchanged. In 2014, taxable incomes above the following thresholds now fall into the 39.6% bracket: Married Filing Separately ($228,800), Unmarried Individuals ($406,750), Head of Household ($432,200), and Married Filing Joint Returns ($457,600). 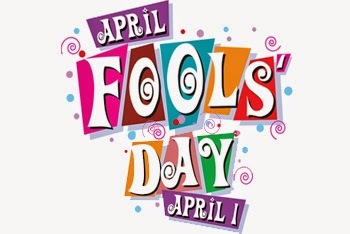 April Fools' Day, also called All Fools' Day, is celebrated every April 1st in the United States. While it is not officially recognized as a holiday, many celebrate by pranking, or pulling practical jokes on, their colleagues or by organizing larger-scale hoaxes. As April Fools' is celebrated in different ways throughout the world, it is unknown exactly how the tradition originated. Some cultures saw it as the first day of spring, celebrating with general merriment and feasting, and certain calendars may consider it the first day of the year. One theory for the terming of an April Fool was that some refused to follow these calendars that recognized April 1st as the first day of the year, which resulted in being called an April Fool. There are a few other theories as to precursors to the holiday tradition. Hilaria, a Roman festival, which celebrated Cybele, an Anatolian goddess, was celebrated around March 25th. The Feast of Fools was a term given to many medieval festivals celebrated during the fifth-sixteenth centuries in Europe, but particularly at the end of December. These celebrations developed a tradition of practical jokes, especially when observed in Spain. However, the tradition of practical jokes had been well established by 1632, when legend states that the Duke of Lorraine and his wife escaped a prison at Nantes by dressing as peasants, walking right out the front gate. When the guards were alerted to the escape, they laughed at what they thought was an April Fools' prank. One of the first April Fools' pranks occurred in 1698, when citizens of London were tricked into attending the lion-washing ceremony at the Tower of London, a ceremony that did not actually exist.